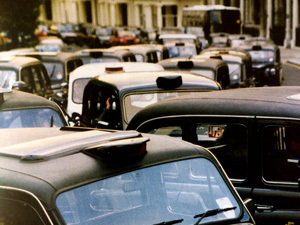 You can watch the oral history documentary film about the cabbies right here now. A few people have been asking us about the music in the film. The main music at the beginning and throughout was composed specially for the project by the brilliant musician Vincent Burke. He has provided the music for several of our films. Please visit his website to hear more of his fantastic music.. The music you hear at the end of the film we discovered while doing some research for the project. 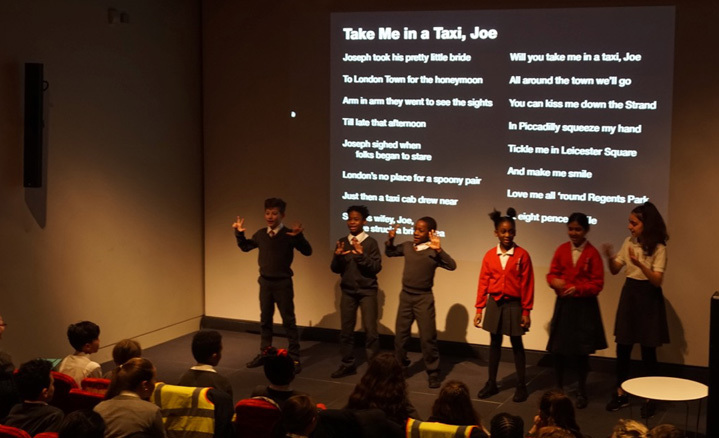 It is entitled "Take me in a Taxi Joe" and is sung by Jack Charman and recorded in 1914. It's bawdy old tune which the children really loved. One of the highlights of the project was the children singing it along with a dance they made up. You can also watch the film on youtube here. We thought you might also be interested in watching a film we made in 2016 exploring the history of people working on London's buses. Fares Please! from digital:works on Vimeo.